This is the last day of August. Why is it that time seems to go by much more quickly as you get older? Is this just an age thing? Clearly, time passes at the same rate – although I probably spend more time asleep at this point in my life (and, to the best of my knoweldge, I haven’t slept for six months). “DoubleClick is to be commended for its cooperation in setting an industry standard for promoting consumer privacy in the data collection and tracking taking place across networked websites,” said New York Attorney General Eliot Spitzer. Cookies are not evil and, as companies like DoubleClick must have millions of cookies in their databases I am sure my online activity is not of sufficient interest for anybody to try to find out where I have been. Most people are pretty good and don’t store personally identifiable information and, even if they do, I could just wipe my cookie files and start again and stop being tracked. So, all I really want to say is there is nothing wrong with cookies. Cookies are useful. People who hold data on me should abide by the Data Protection Act which seems sufficient for every other piece of information that is being held about me, so why does everybody so worked up about these little bits of data? Agghh!! I have been fascinated by the weather since childhood. This is not your typical British interest in the weather – which is a necessity if you live in England’s green and pleasant lands. No, I really want to understand forecasting, cloud patterns and the like. The basics can’t be that hard. Yet, I have never, ever done anything about this. There are other things I would like to do, too. Phonography, a course in British History or a wine appreciation course. Yet I never do any of them. So, first thing tomorrow I am off to buy one of those books that list evening courses and do something! This channel  which has done more than most to build the cult of celebrity  has taken its first step toward atonement by placing a group of celebs (the type who take a bow each time the fridge light goes on) and place them in the Antipodean wilderness. The programme is I’m A Celebrity, Get Me Out of Here, which should be worth watching for the title alone. It’s made my day. Now, when celebrity Lance Bass shouts, “I’m A Celebrity, Get Me Out of Here”, it takes on a whole new meaning. You know when you don’t go to the cinema for, what seems like, an age and then you suddenly go quite a lot? No, well, I do this on-off thing with cinema quite a lot. Yesterday, following on from my Men In Black II experience, I went to see The Guru at The Clapham Picture House (which, if you live in this part of the world, probably ranks as one of the better cinemas and it’s not part of an overly large chain – although there are more of them then you would imagine). … these moments don’t really justify the admission price [Full Review]. Now, I am using the web to reinforce my own opinions. This can’t be a good thing. This review tells almost all about my night last night. 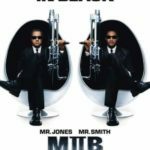 I went to UCI Sutton to see Men In Black II. I had enjoyed the first in a wash-over-me kind of way. Interest wanes at twenty minutes. I don’t talk about my blog. It’s a private thing I do, but I am not sure why (I would suggest points 2 and 3 here as a starting point to try and answer that question). Yesterday I went for a very nice meal at Orso when the conversation turned to weblogs. I was somewhat shocked that my dining companions could not grasp the “why” of the blog concept. Why read them? Why write them? But I still didn’t speak about my blogging. It’s very odd but I do not feel compelled to actually talk about this. I realised I do not talk about me to anybody very much. I discuss events that involved me. I talk about other people and tell people about my work. I express options with the best of them. But I don’t really discuss myself too often – at least by this I mean, I guess, emotions and my private life. It’s odd because I think people who know me would say I do talk a great deal, but I know I hold things back. Why is that? So why to I carry on writing this? I have said before that it started out as a challenge to myself. Can I blog for a whole month with no interruptions? I did that. And still I find myself here! Remember the slag of all snacks? I do like the sensitive side of this country! Today’s Media Guardian web site reports that “Pot Noodle’s controversial adverts using the line the slag of all snacks have been banned from appearing on TV after more than 300 viewers complained”. 300 people actually bothered to complain about a television advertisement. I would really love to know whey they felt this was inappropriate. I thought they were some of the funniest commercials that I have seen in a long time and the word was used in a humours, self-deprecating way. How can calling a plastic pot of fast food be that offensive. Such a shame they were pulled. However, I don’t really see the point as most people have seen them anyway. Well, I’ll eat my words (as well as much of the food). It was marvellous, although I doubt I will convert. I went to a barbecue today which is no amazing thing (although spelling barbecue is, for some reason, one of those words that I should not even attempt to spell). Our hosts had a gas-barbecue (something I have always been very skeptical of – it’s not real barbecue cooking is it?). Well, I’ll eat my words (as well as much of the food). It was marvellous, although I doubt I will convert. There is something strangely masculine about fighting with coals rather than turning the gas on. I suspect my life in turning into a bad episode of an Australian soap-opera for I am constantly saying we should have a barbecue. I am becoming obsessed. Yesterday it was kebabs on the barbie. Today, burgers. Or is it just a sign of summer? G’day.